So you want a night out in Leeds? Well whatever your reason, age or style, the choice of pubs and clubs is wide in Leeds. With bars & pubs to suit all needs and new ones opening on a regular basis, you are sure to find what you need in this exciting and vibrant city. I have ranked the top ten pubs and clubs in order of popularity to give you an insight as to how busy places will be on a night out in Leeds. Through the day, the electric press offers a range of cuisines, including British, Indian, Asian, Italian and many more. You are sure to find something that suites your taste. The electric press serves food well into the evening, however it also turns into a thriving Bar that seems to suite all tastes and styles. The Electric Press offers drinking and dining solutions for breakfast through to supper. There's extensive outdoor seating for Al Fresco dining, as well as a glazed, heated courtyard area, making it an ideal location for a coffee with friends or a cocktail after hours. This inviting and pleasant bar with friendly and accommodating bar staff and a vibrant atmosphere make north bar a great place to go on a night out. Even though the north bar has a very laid back feel it always seem to be a busy and thriving place to be at any time of day or night. North Bar is famous for its staggering selection of beverages. The music is eclectic but steers clear of the more dancey soundtrack of a lot of bars in central Leeds. Renowned to be the best cocktail bar in the North, Mojo represents the very best of the Leeds bar scene. Mojo's fantastic music policy is a tribute to the past 50 years of quality music. Combine that with a huge array of super strong cocktails, and an up-for-it atmosphere, and you'll begin to understand why this place gets so busy on a weekend. Recently voted in the top 50 best bars in the World by the national press!! Tiger-Tiger has several themed bars, a restaurant and a nightclub all in one place. As well as offering an extensive a la carte menu, you can take advantage of their canapé and buffet menus, and a smaller bar food menu is also available for those fleeting lunches. You are sure to find something to suite you in this lively, vibrant and diverse place. Henry's is popular with business people and the older crowd. Cosy around the fire with friends in the winter and enjoy the sunshine in the pavement café area during the summer. 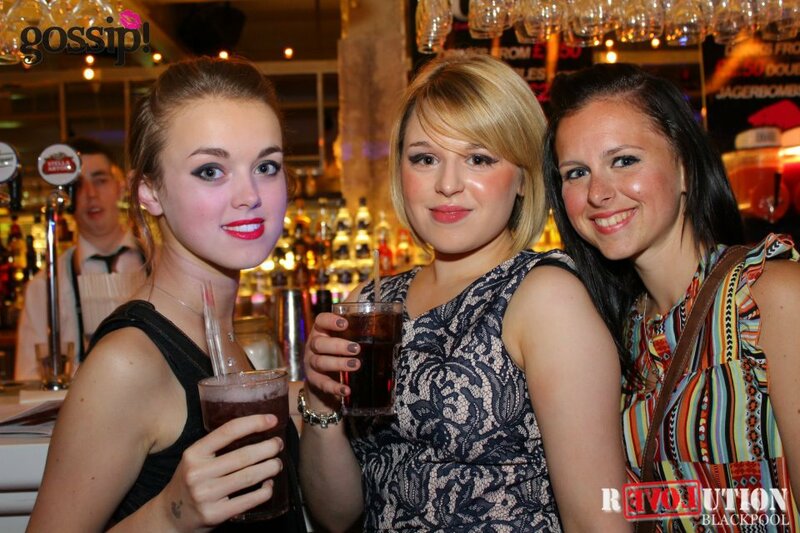 If you are wanting a lively and busy place that stays open till early hours, then Revolution is the place to be. With a range of different music and thriving dance areas, revolution accommodates many different tastes and styles. However, Revolution is always accompanied by the younger generation of society, so if you are looking for a calmer and more mature atmosphere, maybe revolution isn't the place for you. It's all about seeing the world in one night. Oceana Nightclub, six themed bars and one premier night, taking you from country to country and providing you with the best nightclub experience in town! Not only has Oceana Nightclub got some of the best bar and clubbing scenes within the city, it is also host to four lush VIP suites, the ultimate Secret Garden which allows you to relax in comfort throughout the summer months. Oceana also houses an external heated smoking balcony. Three floors of pure decadence bringing an exciting and unique element to the Leeds Bar scene.This vibrant bar is sure to get you into the mood with Happy Hours, fantastic drinks offers and selections from extensive cocktail, premium spirit and champagne menus served with style. Their expert bartenders, waitresses, hosts, DJ's, performers and event planners can create an evening no-one will ever forget. If you're out in Leeds on a Saturday night, then this is the place to go. It's always popular, and with a good range of music it guarantees a great night out. Halo is a renovated former church right in the centre of Leeds, just up the road from all the main bars. Plenty of taxis wait just outside and bus services that run through the night are close by. Have you tried The Reliance?